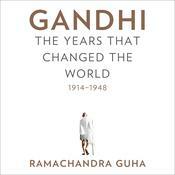 Ramachandra Guha—hailed by Time as “Indian democracy’s preeminent chronicler”—takes us from Gandhi’s birth in 1869 through his upbringing in Gujarat, his two years as a student in London and his two decades as a lawyer and community organizer in South Africa. Guha has uncovered myriad previously untapped documents, including private papers of Gandhi’s contemporaries and coworkers; contemporary newspapers and court documents; the writings of Gandhi’s children; and secret files kept by British Empire functionaries. Using this wealth of material in an exuberant, brilliantly nuanced and detailed narrative, Guha describes the social, political and personal worlds inside of which Gandhi began the journey that would earn him the honorific Mahatma: “Great Soul.” And, more clearly than ever before, he elucidates how Gandhi’s work in South Africa—far from being a mere prelude to his accomplishments in India—was profoundly influential in his evolution as a family man, political thinker, social reformer and, ultimately, beloved leader. 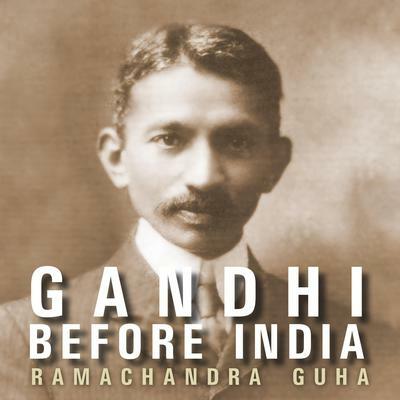 Researched with unequaled depth and breadth, and written with extraordinary grace and clarity, Gandhi Before India will radically alter our understanding and appreciation of twentieth-century India’s greatest man. Ramachandra Guha has taught at Yale and Stanford universities, the University of Oslo, the Indian Institute of Science, and the London School of Economics. His books include the award-winning India After Gandhi, and the first volume of this biography, Gandhi Before India, which was a 2014 New York Times Notable Book, and a San Francisco Chronicle Best Book of the Year. He writes regularly on social and political issues for the New York Times, and for the British and Indian presses, including the Telegraph and the Hindustan Times. He lives in Bangalore, India.